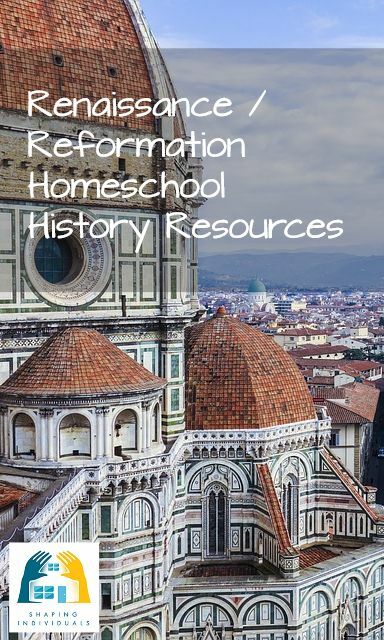 Over the years, we have enjoyed using different homeschool history curriculum. We haven't used everything, but I have listed our family favourites below. We have loved using these history curricula and spinebooks as they are comprehensive and selected as they cover the Renaissance and Reformation time period. Don't forget to check out the other resource pages (in the box at the end of this page) to make this time period come alive. It is so rich - it's going to hard to move on! Tapestry of Grace Year 2 -Your Guide from the Medieval World to the Modern. Unit Two of this Year Two Tapestry of Grace Curriculum covers the Renaissance and Reformation. Many homeschool families who use TOG take more time with this unit. It is written as a ten week unit, but it really is impossible to move through this period in a thorough way so quickly. Here is an overview of the weeks which deal with the Renaissance and Reformation. More on Tapestry of Grace Curriculum here. Read some reviews. TruthQuest History puts God back at the center of the past. We have loved using TruthQuest exactly for that reason. We love her commentary and the way she incorporates the teaching of Francis Schaeffer into her TruthQuest History books. The whole curriculum is centered around "living books." Then, short, very informal introductions are written directly to the student and open up each topic with a distinctly Christian perspective. Suggestions for activities or writing exercises are often included as well. The booklists follow, with selected annotations on what pages or sections to read and appropriate grade levels for each entry. This history curriculum is incredibly flexible in nature. Families can proceed at the pace that's best for their students as they select "spines," biographies, in-print books, and out-of-print classics from the extensive lists. More information on TruthQuest Homeschool History Curriculum here. Read some reviews. You can read more about the Mystery of History Curriculum on the medieval history curriculum page as Volume 2 of this history curriculum covers the same material. 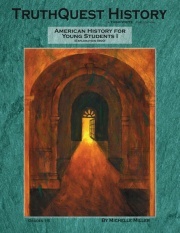 You may also wish to read the curriculum review on Mystery of History Curriculum on my site. Here are a few of the history spinebooks you could use as a base for your homeschool history studies around the Renaissance and Reformation time period. Of course, make sure you add in books to read aloud and books which your children can read to themselves. I have listed a few history spinebooks helpful for your study of history, but just choose one that would suit your family and the ages of your children. Written for younger children in a delightful narrative, A Child's History of the World is considered to be a classic written by V.M.Hillyer. However, it does begin in an evolutionary way.